Fasten your seat belts, everyone! 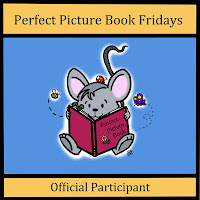 It's Perfect Picture Book Friday! And if last week is anything to judge by we're in for quite a ride! I'm REALLY excited to share today's book with you. It is so incredibly beautiful. Beautiful art, and even more beautiful language. There, now see? I'm getting ahead of myself telling you why I like it before I've even told you what it is! But get ready, because this one is really special! Red squirms on the road after rain." Brief Synopsis: From the jacket: "Color comes alive in this whimsical, innovative book." That pretty much sums it up! I hope you'll get a chance to read this book, linger over the language, enjoy the images it evokes, maybe challenge yourself or your children to come up with your own descriptions! This is a challenge to read a book with your child every day and participate with your child in other activities like a craft project that might relate to the story. 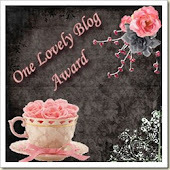 To take part, just post a comment on my blog and tell us what book you read and what activity you did. At the end of each month, we will randomly choose one comment to win the picture book prize. In addition, everyone who comments is eligible to receive a $5 discount on my Show Me How book. Please join in the fun...you will be helping build your child's self-esteem and literacy skills and it will be great to see what other parents are reading and doing...we can all use fresh ideas! 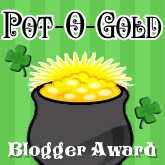 PPB Bloggers, please remember to add your link below - if you don't I can't promise I'll find you! And it helps me tremendously to have the ages and themes listed on the post - it makes the archiving much easier! Thank you all so much! Our list is coming along beautifully. 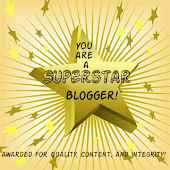 We're up to 140 books covering 95 categories, posted by 29 devoted bloggers - you guys are awesome! Can't wait to see what gets added today! And don't forget to tune in specially on Sunday for our interview with Michael Garland, and Monday for our first installment of Oh Susanna! Lovely book, Susannah! 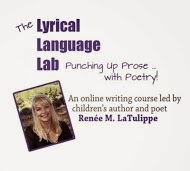 I can't tell you how much I (and probably every parent and teacher) appreciate this resource. You are putting so much "good stuff" in one place that is easy to navigate and use. 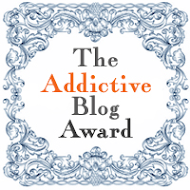 And thank you so much for the blurb about the PPP Challenge to read every day! Hope it encourages more parents to hop aboard! I'm always looking for seasonal books. This sounds like a good addition. Thanks! Love your selection this week. It sounds like a beautiful book. I love the opening! The Positive Parent Challenge sounds like a really great idea. Thanks for sharing about it. Can't wait for the upcoming posts! Have a great weekend! 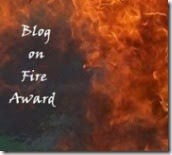 Susanna, I had a terrible time trying to set up an email sign up on my blog. Many didn't work. I thought I was using Feedblitz and was going to try and change publicizing time, but I am not, so need to investigate further. Thanks for letting me know! I do so love lyrical, poetic picture books, and the text you cite is musical and wonderful... what a lovely choice this week! It's really great, Barbara, because not only does it cover all the seasons, it brings them to life so beautifully that you can really feel them. I'm not a teacher, but I think you could do a lot with this book in terms of getting kids to write about what stands out about each season to them. Good luck sorting out the email thing. I guess I won't know if mine worked any better until I hear from Clar and Beth :) And I absolutely love this book. I hope one day I can write something this lyrical! Those first lines are beautiful! Sounds like a winner! 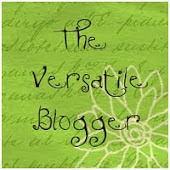 Susanna, I love your book for today and the Positive Parenting Challenge. I'm certainly going to try as I know it would make me a better mother! Happy Friday! Really cool book! I like poetry and this book seems to be a book I will really like! I like your description of it. You are one busy lady! Yikes. I am sitting down just watching you fly, girlfriend! I will love this book. Very melodic. Can't wait to read it. Thanks for the suggestion. What a unique selection! I just love "Red squirms on the road..." Excellent links, too. 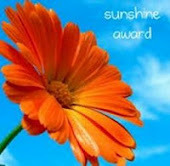 Have a great weekend Susanna! The art looks great on this one. I received an email about your post at 5:05 mst. 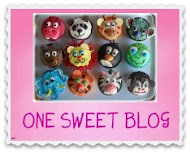 :) I think with Blogger it all depends on when you post it. Like I schedule mine to post at 12:01 a.m. mst. Looks like a fun list. I'll be making my way through them all. "Red Sings From Treetops" sounds delightful. Yes, I could hear the cardinals. Makes me yearn for spring and we haven't even had snow yet, here in Northern Virginia. I'll put it on my list to read. I'm so glad you worked your google magic to make your posts appear earlier. What an accomplishment! I'll check that out as well. That is a beautiful book Susanna, I could hear them singing. Oh my! so many already here. I went for a doze on the couch thinking I had time while waiting for you to post your PPB, and when I came back all these others were already here..... my word, that will teach me....lol. Aw, this sounds like a sweet book. Especially for all those kids stuck inside during the winter, awaiting springtime. Thanks for sharing it Susanna. I cannot wait to read this book, it sounds wonderful! Oh, it really is! You'll love it. And as an artist, I think you'll find the art very interesting too! Thanks to Penny's link, I was able to go into feedburner and discover a) that it thought I was on central time (I'm not!) and b) that it was sending email notifications between 9 and 11 PM! So I changed it! Hopefully it's going to work now! I think you will especially love this book, Catherine. I thought of you and Renee and a couple others when I posted - people who are poets themselves :) Let me know what you think of it if you get a chance to read it! This book will make you wish you could write like that! 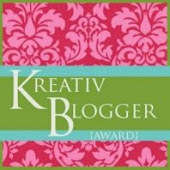 At least, it makes ME wish that :) Let me know if you read it - I'd like to know what you think! 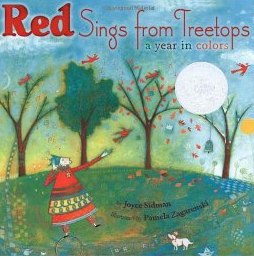 "Red Sings from the Treetops" sounds lovely, lyrical and imaginative. Thank you for introducing us to it. and Vivian's challenge sounds great! I find myself wishing I had some grandkids so that we could join in. And yes, your post was waiting for me in my inbox this morning. I wasn't sure if it was the tweaking you'd done behind the scenes, or the fact that I unfollowed, then followed again early one morning. I suspect it was your tweaking. Thanks go to Penny! "Red Sings from the Treetops" sounds like a wonderful book. I have it on my library list now. I did get your post notification in my email this morning....yea! Glad it helped. Wow, we're getting so many more participants each week - fun! I know - isn't it great? I love seeing what everyone puts up, and feeling that little jump of happy recognition at books I love - like Munch! Muncha!, Mostly Monsterly, etc hat have shown up this week - and that spark of excitement when I see something one of you guys highly recommends that I haven't read yet! So fun :) And I think you'll really enjoy "Red"! You are over the hill excited about this book. Must get it and take a peek. It sounds lyrical and the illustrations look beautiful. A great way to talk about the season with kids. Great selection! Hahaha! Some might object to being called "over the hill" but not me :) This is a great book. I hope you like it! And I just realized, I need to add your link. I wish we could figure that out...! So glad you like it, Helena! The artwork looks sublime! I must find this book. It was a Caldecott Honor book... It really is lovely! I love it Susanna! I hadn't heard of it until now, but I love the musical aspect to the writing. Sounds wonderful! It really is worth reading! 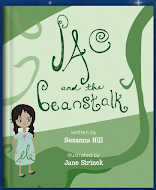 Susanna, we have this book in the library-The other day I was looking for a good pb for a lesson and I came across this one-I remember thinking that I wished I had a good lesson activity to go with it. 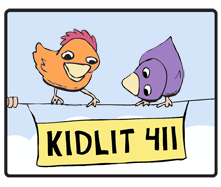 The Junior Library Guild link you provided is awesome! Thank you so much!! Oh, yay! An example where Perfect Picture Books is actually coming in handy for someone just like it's supposed to! I'm so pleased :) Do you love this book as much as I do, or is it just me? Love that book! So beautiful in words and artwork! It's one of my favorites. As an author, I find it so inspiring! Thanks so much for stopping by, Pam!! !